It’s been just over a week since Black Ops 4 released, and so far, first impressions around the web seem to be good. Many fans of previous Call of Duty titles have claimed that the series is “all about the multi-player”, and Treyarch certainly proved it with BLOPS 4, which revolves almost entirely around online play. In addition to expected modes, the latest Call of Duty adds Treyarch’s take on the ultra-popular Battle Royale genre, with “Blackout”. Despite all of the hype and praise BLOPS 4 has been receiving, some players have caught on to subtle (or perhaps not-so-subtle) differences between the game’s beta, other CoD games before it, and what we have today. YouTuber Battle(non)Sense benchmarked the server rates of the multiple BLOPS 4 builds, and noticed that now that we’re at retail, the server rate has dropped from an already poor 20Hz to an even poorer 10Hz (1Hz = 1 cycle per second). That’s hardly ideal for a game with a dominating multi-player focus. 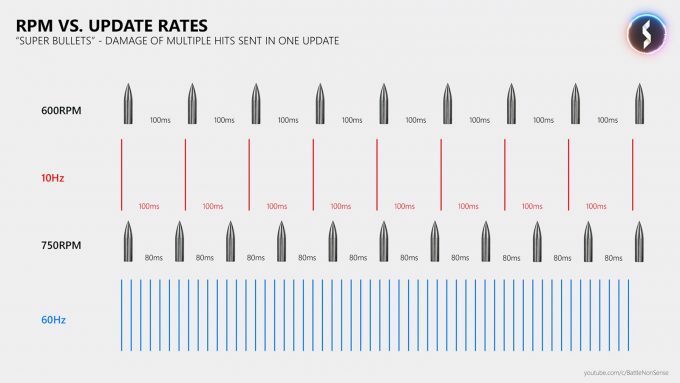 The video on this topic includes the useful graphic below, highlighting the amount of data that can get lost when firing fast weapons. The server simply can’t keep up, which is going to lead to many bouts of anger when you know that a server misread what actually happened (or should have happened). There are two big issues about this move on Treyarch’s part. It could be that the rates were dropped only for launch, though it’d still be a slap in the face to anyone who played the game’s main beta, which had 60Hz server rates. Add to that the fact that Black Ops 4 doesn’t even have a real single player component – the entire focus is around multi-player, which makes 10Hz server rates even more insulting. More than that, the game managed $500,000,000 in sales in the first three days. Don’t players deserve better than 10Hz? 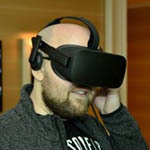 For what’s overall a well-received Black Ops, it’s unfortunate that it seems like something always has to mire solid launches. Fortunately, this is an issue that could be easily fixed. Whether or not Treyarch will heed the call is what actually matters. Update: Since this post was published, Treyarch took to reddit to explain that complaints have been noticed, and that time will be spent over the next couple of weeks to optimize the network based on all of the information gathered so far. So, there’s no fix right now, but improvements should at least be coming.